Hemorrhoids come with old age, due to the rectal tissue getting weak over time. However, it is not exclusive to older people. Pregnancy paves the way for hemorrhoid growth, simply because as the fetus grows, it exerts more pressure on the rectal areas. Obesity. The extra weight and fat on the belly will put extra strain on the private areas, increasing the chances of hemorrhoid growth. Improper bowel practices. Straining during passing stools causes hemorrhoids in the long run. Thanks to medical science, there are a number of ways that can provide hemorrhoid relief. However, most of these methods are rather invasive. With that said, you are better off resorting to natural methods, specifically herbs. Doing so is safe and able to eliminate hemorrhoids in the long run. With that said, what are some of the herbs that are able to quell hemorrhoids and their symptoms? This much loved spice comes in a variety of forms, tea, powder, capsules and most commonly as an ingredient in spicy dishes. Taking it in through tea and supplement form (capsules and tablets) will definitely help out in shrinking the hemorrhoids and relieving their symptoms. Aside from being a root herb that can rid the toxins from the body, it also helps out in blood circulation. The latter factor helps out in shrinking hemorrhoids. Aside from which, ginger has anti-inflammatory properties that can quell the swelling. 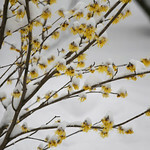 Despite having a rather morbid name, witch hazel is a herb that has astringent properties. Basically, astringents are able to constrict and shrink body tissues – including hemorrhoids. It has been used even in traditional medicine, some people even go as far to calling it a “healing tree”. In curing hemorrhoids, this herb is applied to the area. It may either take the form of an ointment, lotion or distilled liquid. Simply soak a cotton ball and wipe it in the area (this however, is only exclusive to external hemorrhoid treatment). Like witch hazel, it has a rather morbid-sounding name, but it actually has a number of positive health effects. This herb got its name since it is being used by butchers to clean off their blades and chopping boards. With that said, it can come in supplement form, usually in tablets, capsules and tea (although you need sugar since it is pretty bitter). 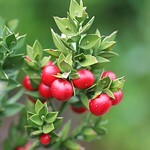 Like ginger and witch hazel, butcher’s broom has anti-inflammatory and astringent properties. Although herbs and alternative medicine is always the best option, you may need to check with a certified medical practitioner to check if you have underlying complications that would make these supplements unsafe for consumption. Also remember that if it gets worse, you can’t do anything else but resort to invasive methods to attain relief and a hemorrhoid-free life. AUTHOR: Alice Boyle has been a health writer for 3 years focusing in herbal and natural medicine. She has experienced working in various community health clinics and medical centers. Recently, she is doing her latest work about the hemorrhoid condition and hemorrhoid removal. Her purpose of writing is to make people aware about the basic information regarding this disease.